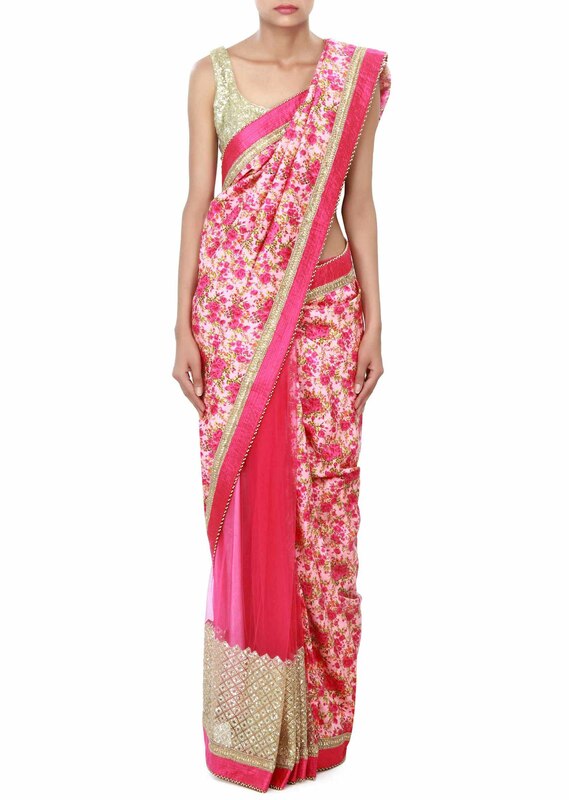 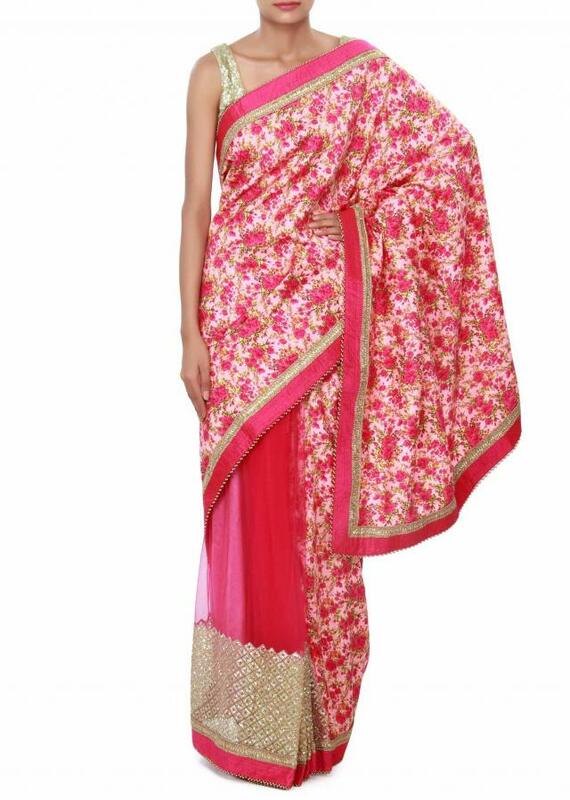 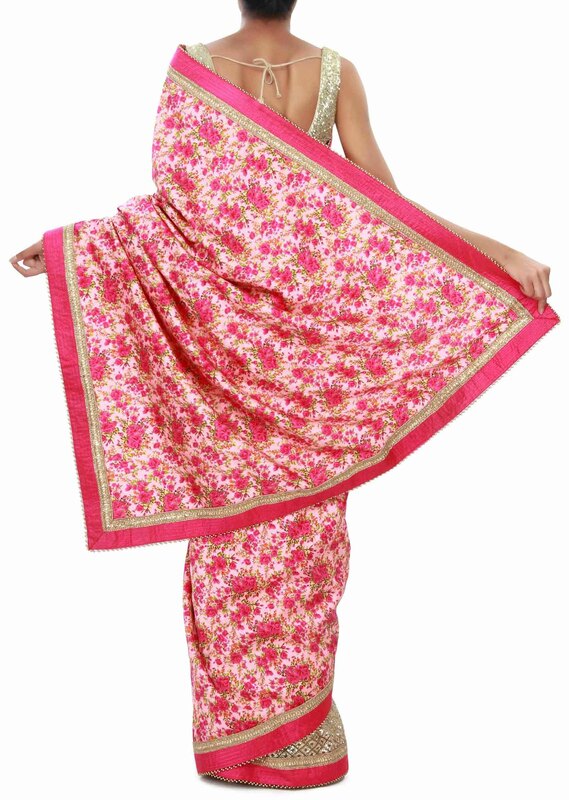 Pink half and half saree featuring with pallav in satin enhanced in floral print. Other half is in net. 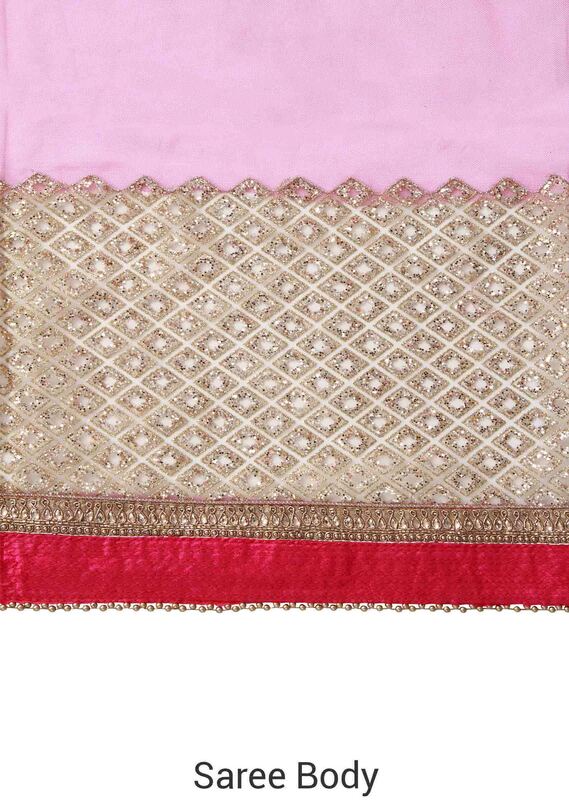 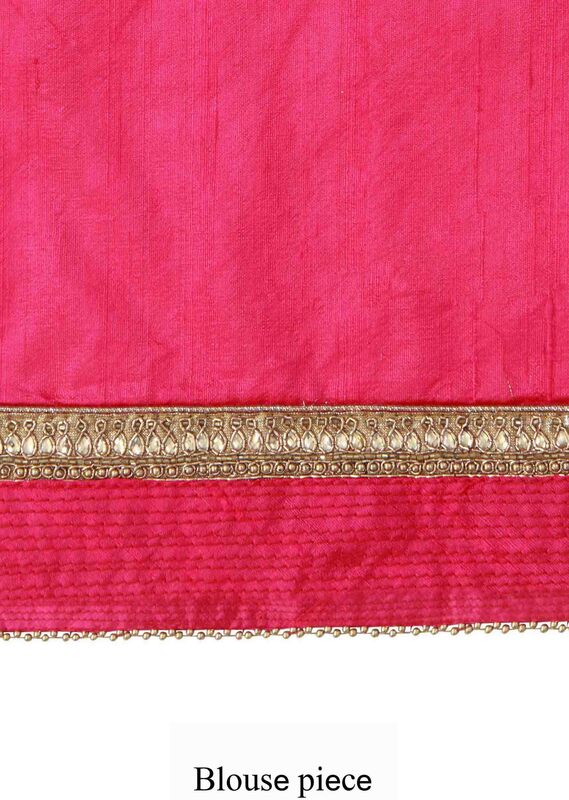 Border is enhanced in sequin and zari embroidery. Blouse is unstitched in pink silk Slight variation in color is possible.